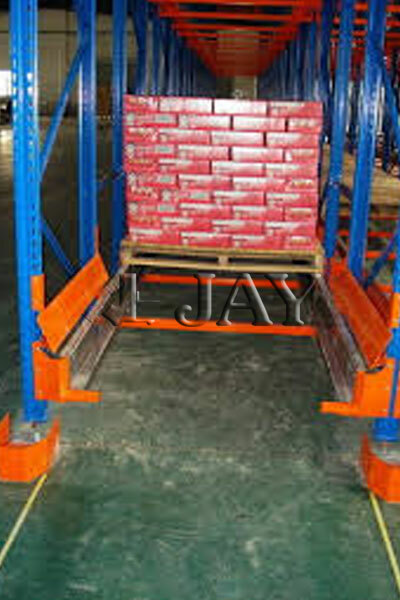 'JAY' Pallet shuttle systems are a semi-automatic or Fully automatic storage soultions for handling goods inside channels similar to Drive-In systems. Radio Shuttles & Satellite Shuttle systems are multi-deep storage system equipments in which radio(satellite) moves within the rack, thus eleminating the need for forklits, to reach inside the lanes. 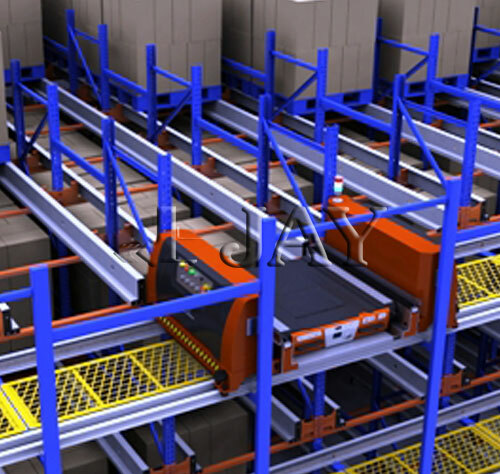 This high density storage system simplifies loading and unloading goods by utilizing an electric cart called the radio(satellite) shuttle. This systems are mainly used for high density storage of homogenous goods. This systems are idela for storing large, heavy volumes of items with a low quantity of different items. 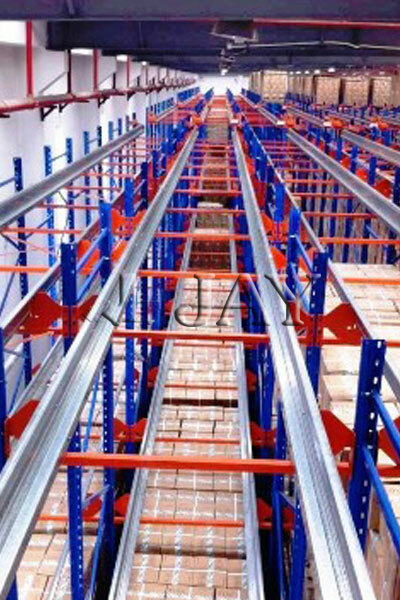 The racking system combines the benefits of block storage with those of racking storage.